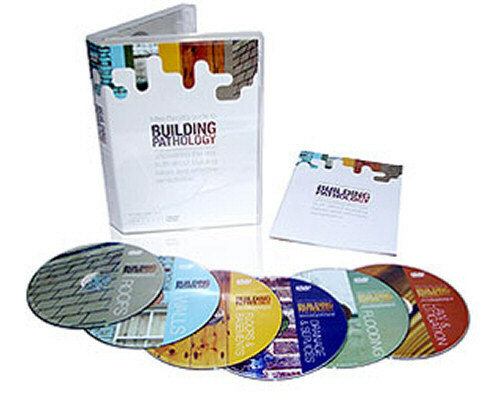 Mike Parrett, one of the UK’s leading Building Pathologists, co-author of the RICS Books’ best seller Diagnosing Damp and featured expert on BBC’s Raising the Roof series, presents a unique "award winning" training resource on DVD. Mike Parrett’s guide to Building Pathology is crammed with case studies, anecdotes and a vast store of information on the pathology of buildings – why they fail, how to diagnose the problem and what remedial measures can be put in place. Floods are a force of nature and therefore cannot be entirely avoided. But they can be mitigated against and their passing needs to be dealt with in a timely and effective manner. How do we know when a house is truly dry? and flooding examples. Includes over eight hours of content from the roof to the drains and beyond - crammed with case studies, anecdotes and a vast store of information on the pathology of buildings -why they fail, how to diagnose the problem and remedial measures needed.